Please note shoes and pitchfork are not included. 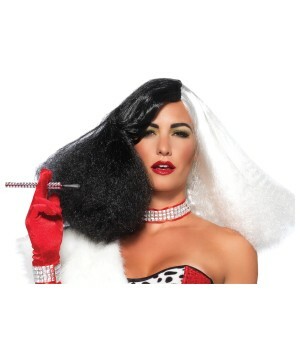 Devilish Diva Costume includes long red dress with sequined jagged edge trimming that is meant to look like fire and matching red sequin horns. Please note shoes and pitchfork are not included. 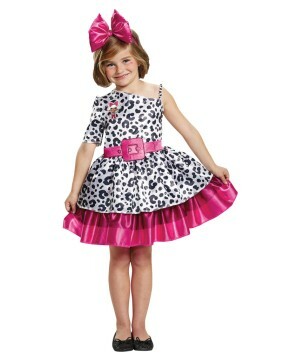 This Girl Costume is Available in Child size Small (4-6), Medium (8-10) and Large (12-14). 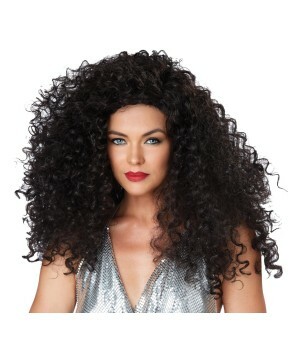 The Burnette Disco Diva Women Wig brings one brunette wig. 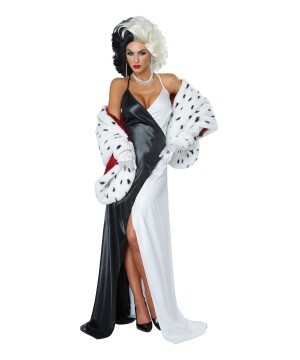 The Cruel Dalmatian Diva Women Costume brings a dress and faux fur stole. The Cruel Dalmatian Diva Women Costume And Wig brings a dress and faux fur stole and wig.